Do you own a car rental service and have been experiencing drop in sales? Or are you unable to scale your business and are stuck in a rut? The answer to your questions might actually be Internet! The Internet has encroached upon and taken root in all of our day to day activities. Previously our cell phones were used exclusively to call or text people. Now, our mobile device is one of the things that we cannot do without. What is the first thing you do when you wake up? If the answer is check your mobile phone, the answer comes as no surprise because according to recent surveys, almost all people check their mobile phone first thing in the morning. Now that we have established how integrated Internet is with our day to day life, we need to think of the fact that not just for social use, the Internet is one of the best market in the world. Whether individuals are looking for information, products, service or anything, the first thought for everyone is to check the internet. If you are planning to buy a new mobile device, most spend at least a few hours researching on the internet, looking for the best phone under their budget, or looking for customer reviews and more. This is the same in the case of car rental services as well. Most people will search the internet web looking for the best car rental businesses on the internet. If you have not updated to the Internet, not only are you looking at a great reduce in your business and brand visibility as well as not gaining any free organic leads. So what do you need in order to go digital? or a fleet management system. Not only will you going digital help you in terms of efficiency, as long as you invest in some form of digital security, you will be less liable for lost time or paperwork. While, a manual system may suffice if you only have a few vehicles in your fleet, bus your business grows this will becomes increasingly difficult for you to manage. Second, and most probably one of the underrated marketing strategy is owning a website. As I have mentioned before, most if not all use the internet as a means of choosing vendors for the service or products that they require. And do not just have a website with your contact details and a few pricing ranges, this is one of the death traps if you plan to own a website. Most customers want the freedom to pay online and 24/7, make sure you use this channel to its fullest. Also read, How to start your own Uber like app? Even if you are unable to utilize digital marketing tools or cannot afford to hire a professional digital marketing agency, worry not. Even though employing a full time digital marketer will truly be beneficial, not only in terms of acquiring a fully functional website that boasts great UI and UX. Experienced and expert digital marketers are master at creating an overall branding strategy as well as establishing Social Media Marketing as a channel to enable you and your business to connect with your customers at a personal level. Furthermore, you can automate your website such that every booking is confirmed automatically as well as email reminders, saving you the hassle. Further, with an admin panel, you can construct your website such that you can view all currently rented vehicles, the location of your rented vehicles (by integrating a GPS feature), the pending orders as well all the unrented vehicles at the moment. Another way that you can incorporate digital marketing with your car rental service is to establish relations with booking websites. Most people these days book a full holiday through booking websites and all their accommodations, food as well as travel plans are managed by the booking websites. If people wish to rent vehicles, most often people just book the vehicles through the booking websites, so this is a great idea if you are operating in high vacation spots. 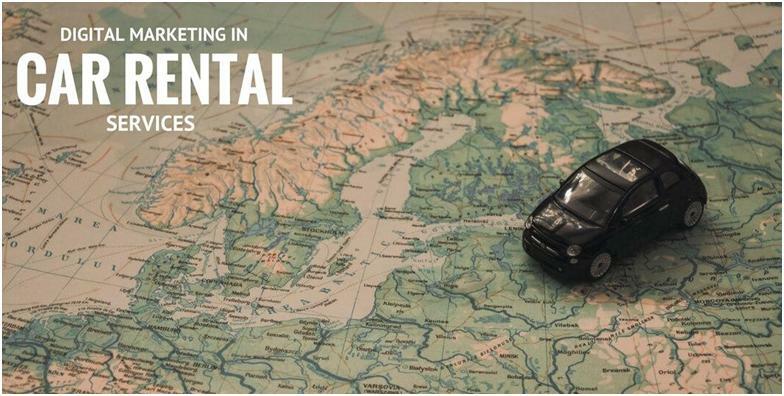 So there you have it, some ways to implement digital marketing approach to your traditional car rental service. While there are more ways that you can use Digital Marketing to boost your brand image and visibility, and acquire high quality leads; we will hit you with a follow up article with more details and information.